InTouch Health is a global, cloud-based telehealth network that delivers high-quality clinical care to patients at any time, from anywhere. With a wide variety of clinically designed telehealth devices, products, and services, they offer care services to health systems at a reduced cost and at scale – which assists them in deploying telehealth programs quickly and seamlessly. The healthcare industry is known for its restrictive networks. The security of patient data, records and internal information is paramount for any hospital or healthcare provider. Realizing that to continue with the company’s growth trajectory and vision, InTouch Health needed to augment their existing technologies to enable next generation multiparty telehealth within a web-based user experience through WebRTC. 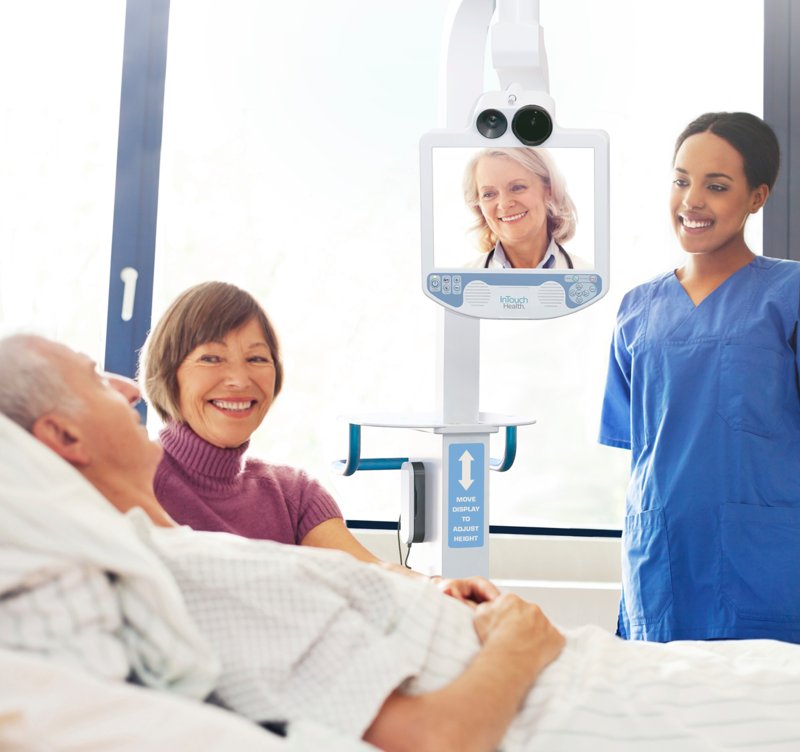 InTouch Health administered a market survey to identify the best of breed WebRTC solutions. From there, the company conducted an in-house assessment to determine if those best of breed solutions could stand up to various requirements and criteria testing. Based on the survey and testing results, TokBox met InTouch Health’s stringent security, reliability, and security requirements, making them the clear leader. TokBox provides the APIs and live video features that InTouch Health needs in order to continue to enable physicians and patients to interact with InTouch Health’s telehealth offerings via internet browsers rather than downloading software applications. The new Configurable TURN API, for example, gives customers the flexibility and control to use their TURN servers for media traffic and connect to OpenTok from restrictive networks, which is particularly useful for healthcare companies. TokBox further supports InTouch Health with advanced security capabilities by enabling AES-256 and IP Whitelisting. AES-256 offers a stronger bit encryption. IP Whitelisting enables live video in tightly controlled networks by limiting exposure of these networks to a select set of IP addresses. This further allows InTouch Health to be compliant with healthcare industry regulations. “TokBox provides the security capabilities, including HIPAA compliance, and features we’re looking for to enable our health system customers to virtualize care across their enterprises through a single platform,” noted InTouch Health founder, chairman, and chief innovation officer Yulun Wang, PhD.